I never thought I would become an author by writing a travel guide. 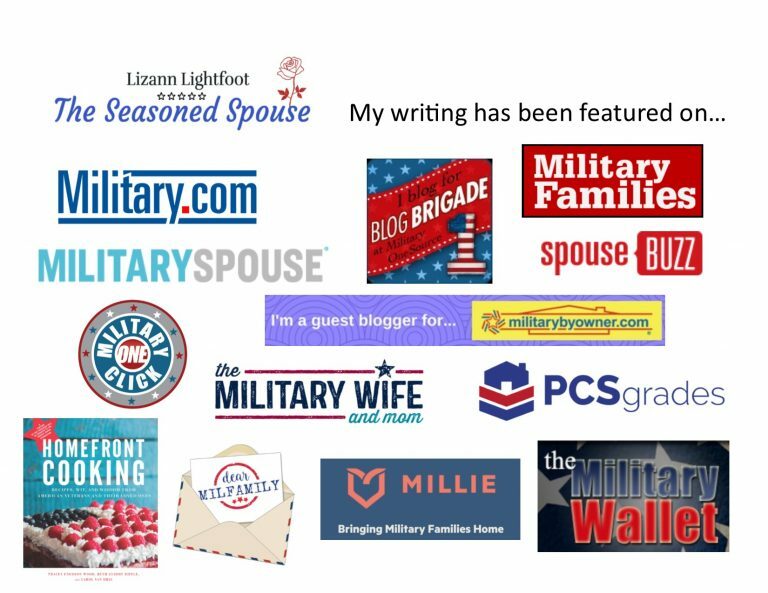 When we got military orders to move overseas, I didn’t plan to write my first book there. But that’s how it worked out. In 2014, I was living in Spain, and pregnant with my 4th baby. I decided it would be a good ‘pregnancy project’ to turn my travel blog into an actual paperback book. At the time, I did not realize what a headache it would be. But I also had no idea how big the project would become, and how it would change my life. Not only did I become an author, but I was invited to present it to the Mayor at the Spanish Town Hall. And by ‘town hall,’ I mean the local castle, built in the 1300’s. Not every new author receives such an honor for their first book! The book project didn’t even begin as a book. It began as a blog. 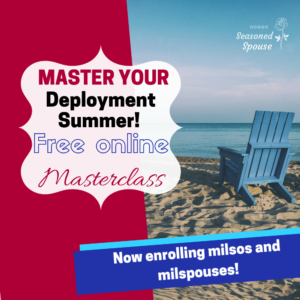 When my husband got orders to Naval Station Rota, Spain, neither one of us spoke Spanish. And we had 3 children, ages 1-4. We were crazy and accepted those orders in a heartbeat. My friends all begged me to keep them updated on our European adventure. So, I started a little blog. It was mostly for family and friends, to tell them our crazy travel stories, show pictures of the local sights, and share recipes of Spanish food. As my local experience grew, so did my blog. Then, suddenly, it grew. Our first year in Spain, we took lots of day trips, and made a huge effort to experience the local culture. I made some local friends who showed me around and encouraged me in my halting Spanglish conversations. We tried seafood we had never heard of, visited Baroque churches, and learned about the local history, which stretched back thousands of years. I wrote our stories, always with a sense of humor mixed with wonder that this was our life. Then one day, an American friend on base introduced me to a newcomer as “the local Spanish expert.” I was surprised. It was true. While we were going to local festivals, wandering through narrow local streets, and experimenting with Spanish menus, my fellow Americans were spending all their travel time in France, Italy, Ireland, or Germany. By investing our time in Southern Spain, I had become somewhat of an American expert on local day trips for families with children. After that, I realized that the blog could be helpful to other Americans stationed there. I started including more helpful information in my posts, like GPS coordinates to parking lots and museums, ticket prices, websites, and whether places were stroller friendly. I noticed that many newcomers had the same questions over and over again: What do I pack? What are the school options? Where should I live? Do I need to know Spanish? I wrote some blog responses to those questions, so I could just post the link instead of typing it out each time. Eventually, I realized I had written a book, it was just separated into a hundred blog posts. That’s when writing the book became my little pregnancy project. I decided someone should write a book for that duty station. It might as well be me. I decided to become an author. Compiling and writing the book was more tedious than I expected, and took a few months longer than planned. (I’ll write more about the self-publishing process later.) The project grew as I worked on it. I wanted it to be a comprehensive guide for all American families moving to Naval Station Rota. I reviewed local restaurants, interviewed Spanish friends to get traditional recipes, and traveled to every cultural event I could find. I asked Americans what they struggled with most when moving and adjusting to life around base. In the end, I had created a 200-page paperback book that contained everything a newcomer would need to know about moving overseas, finding their way around base, shopping and eating in the local towns, understanding Spanish culture, and doing local travel with or without children. After months of writing, researching, editing, and designing, the book was published in August 2014. 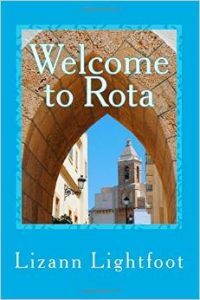 My book is called “Welcome to Rota.” It is available on Amazon as a paperback or an eBook. The Spanish community, on the other hand, was extremely supportive of my book project. I was friends with the woman who led the local tourist office, and she thought it was wonderful that I was trying to bridge the gap between the Americans and the Spanish. She was especially happy to see that my book encouraged Americans to become involved in the local towns, to go shopping and eat at local businesses. The Spanish economy is not strong, so the towns around base survive on American tourism cash. 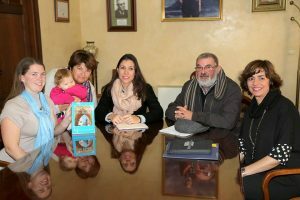 I was invited to the local town hall (a castle) to present a signed copy of my book to the mayor, and then to give a public book reading to a mixed audience of Spanish and American visitors. It was intimidating, but also an amazing opportunity. I was just grinning and pinching myself the whole time, thinking “I can’t believe this is really happening!” It was one of the defining moments of our overseas tour. 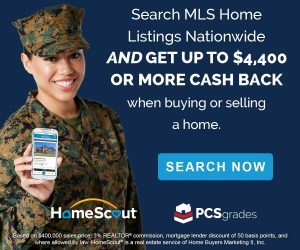 Last month, I was interviewed by the website Humans on the Homefront, which features a new military family member each week. When we began the interview, I wasn’t sure what was “my story,” but I was willing to talk about our experience overseas and why I wrote a book. 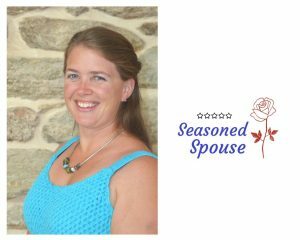 At the end of the interview, she said, “Wow, I’ve never met someone who presented their book to a Mayor in a castle!” That isn’t something every military spouse gets to do. But I am so glad I followed through with my idea and used our experiences to become an author! You can read the featured piece on Humans on the Homefront. My message was that our move overseas was not easy, and some moments were downright frustrating. But sometimes our biggest challenges can become our fondest memories. Do I have any authors or potential authors reading this? Tell me more about your book in the comments! Leave a link to your page, too! That’s so awesome! I’m glad to hear it is helping, and I hope my experiences will inspire other wonderful writers too (like you). Thanks so much for reading and saying hi!